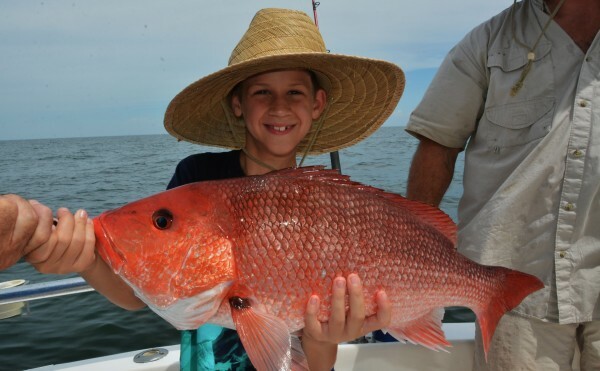 These big red snapper are tropy fish but can be caught and released year round. This 24 pound fish is a big egg producer and is important to ensuring future generations have fish to catch. 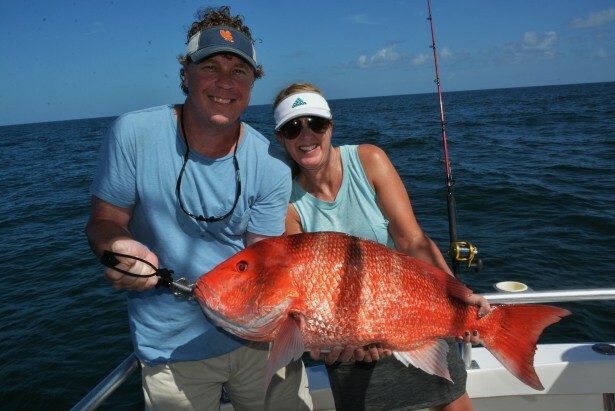 Nobody would have ever believed 10 years ago, that catch and release fishing charters would become the best choice or option for families who want to have fun deep sea fishing in Orange Beach, Alabama. 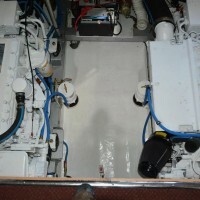 Choosing a deep sea fishing charter today is about your priorities. You are either fishing for fun, to keep a few for dinner, or to fill the cooler. Since filling the cooler is not an option 10 1/2 months out of the year, having fun is the logical choice for families with kids who are in town and want a chance to tug on something big. Ya see, fishing has now become a service industry, not a production industry due to federal regulations that prohibit the over harvesting of most species of reef fish. If your priority is to have fun and catch a lot of fish that you probably can’t keep, catch and release is a no brainer. 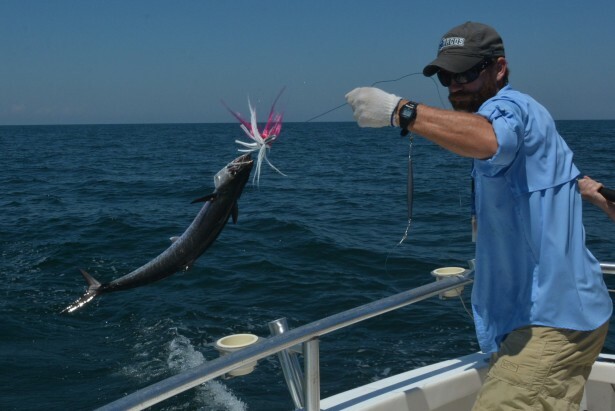 King mackerel are an ideal supplement to any catch and release trip. They are always in season and very tasty. As a consumer you will have to decide if you want to catch bigger fish that you have to release due to seasonal closures or because they have poor food quality, or go after smaller fish that you can catch back home. Now even if you choose catch and release, there is always a chance of catching something rare like a cobia, mahi mahi or even a lane snapper as an added bonus. Even if you choose catch and release but would like to have a fish for dinner, during the summer and early fall months, we can always try to target some mackerel to eat. 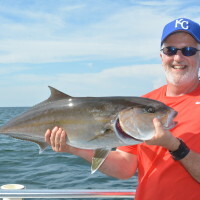 Even when a particular species like red snapper, triggerfish and amberjack are closed to harvest, we still take our guests to have fun, catch them, photograph and then release them. What a novel idea to immortalize your fishing trip with a photograph at the moment you or your child catches your first saltwater or trophy fish. 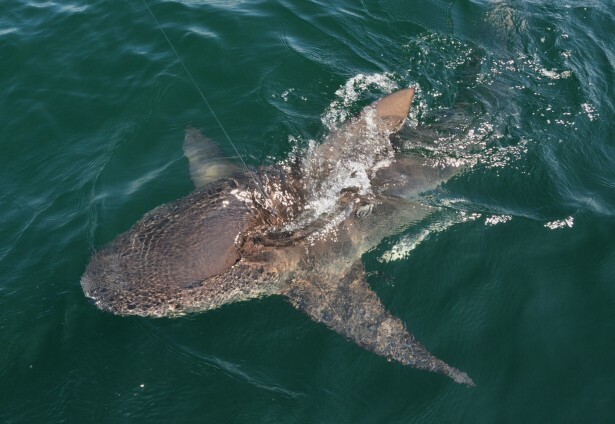 Shark fishing offers anglers a chance to one up their buddies with their own big fish story. All sharks are photographed and released. Before we came along in 2002, the only choice a family had, was to get on a charter boat and the captain would take you to catch as many fish as he could of as many different species. Even until this day, most captains don’t give you a choice when it comes to catch and release. That is where we come in. We ask everyone before we depart if you want to keep any fish today. What is amazing, most everyone says they would like to release them all or keep only a few for a meal or two. Our customers don’t say they want to catch and keep everything they catch. That is because their motivation for fishing is for the experience fishing offers. If keeping fish is important to you, you need to book your fishing trip when they are in season. If your motivation for fishing is to have a great experience, Catch and Release fishing of the popular and most abundant species is an obvious choice for you. 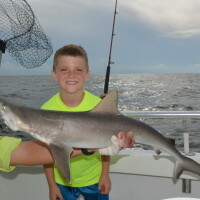 When you are considering the idea of taking your family on a fishing charter in Orange Beach, you need ask yourself, “What is my motivation for going fishing?” “Do you want to have fun and catch some big fish that you may have to release due to seasonal closures, or do you want to go and catch smaller fish (10″-12″) that are less regulated that you can catch back home in middle America out of a river, pond or lake?” I for one, would rather have a chance to catch bigger fish and have a chance at a trophy than to go out and catch small fish just so I can have something to bring back to the dock. Sure, I love to eat fish, but my motivation for fishing is different than others. 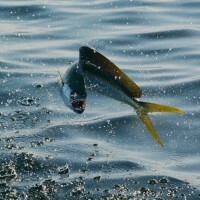 I have always practiced catch and release fishing and offering that service as a fishing charter makes sense to me. 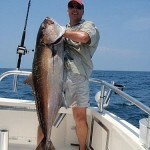 If you are like me and like enjoying life experiences, you will really enjoy catch and release charter fishing with us. Our fishing season begins around the first of March each year and continues through the end of October. Our busiest times for fishing charters are from just before Memorial Day in mid to late May, until the middle of August or until Labor Day. Many people ask us, “When is the best time to come fishing?” Well actually, this all depends on your motivation for going deep sea fishing. You see, the easiest fish for everyone to catch, are actually the most regulated. These fish include red snapper, triggerfish and greater amberjack. Because these fish have short seasons each year, and depending on the time of year you are coming to our area, its possible to miss their season altogether. If you book your trip during a time when a particular season is closed, don’t blame us if you can’t catch and keep them all. We assume that you have read our website and understand that not all fish you catch are in season. Now, you might be thinking, “What Else is there to catch?” Well, we actually can catch all of these species during your visit, but you just can’t keep them. This is when you have to decide if charter fishing is best for you? Most of our customers are experience seekers and their motivation for choosing activities for their kids and grand kids is not to see if they get something at the end of the day that they can put in a zip loc bag in their cooler. Our customers are first timers, parents, grandparents and they want the best experience for their family. They invest in the best experiences and love having pictures, memorializing their fishing charter experience that we provide free of charge. I know, there are some of you who are reading this and saying to yourself, “If I can’t keep some or all of the fish you catch, It’s not worth the investment.” Well, that is OK with us. Our advice to you, if you want the best service in the industry, you need to do your homework and book your charter when red snapper, triggerfish and amberjack are in season.